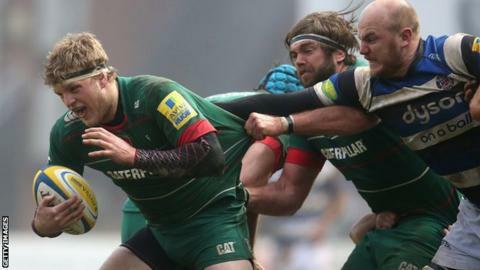 Northampton Saints have signed flanker Jamie Gibson from East Midlands rivals Leicester Tigers for next season. He started his career with London Irish before joining Tigers in 2013, and has played in 80 Premiership games. "We're delighted that he has put pen to paper to join the Saints. Back row is an important part of the team, and while we have some outstanding talent in that area we are confident that Jamie can supplement the players that we already have. "However, even though he has played a lot of games he is still relatively early in his career, and we believe that he has the potential to improve even further." Gibson has appeared at numerous England age levels and has also featured for the Saxons, as well as playing for the senior side against the Barbarians in 2012.